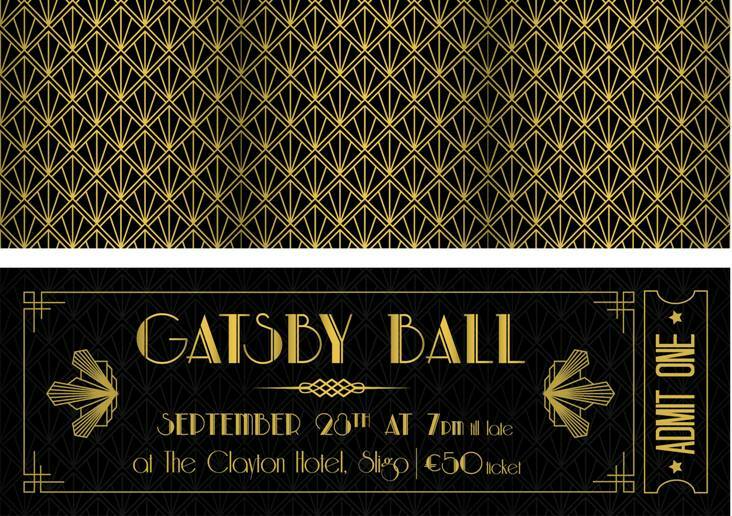 We are delighted to be hosting a Gatsby Ball fundraiser this September 28th in association with Joanne Neary of Blooming Fabulous Vintage Tea Parties and The Clayton Hotel, Sligo. 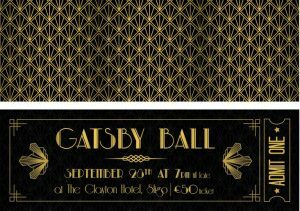 This promises to be a decadent, sumptuous evening full of 1920s Gatsby glitz and glamour. The evening starts with a drink and canapé reception, followed by a 3 course meal, theatrical performance and then you can dance the night away with a band and DJ. Dress is vintage/posh and EJ’s Menswear, Sligo are doing a special on Tux’s for the ball if you are so inclined. The Clayton Salon are also providing finger waves for that finishing touch! Fundraising is becoming increasingly important to our service in order to meet the demand for our counselling and support services. In 2017 we provided 1389 face-to-face counselling sessions. Unfortunately at the moment there is a waiting list to avail of counselling and we hope that the money from this event will go towards alleviating this waiting list. Tickets are €50 and can be bought from The Clayton Hotel 071 911 9000. We hope that you can join us for some decadent fun!